A new study of fossils in New Zealand has discovered that cloning dinosaurs or organisms that have been extinct for millions of years is highly improbable, since the half-life of DNA is 521 years. The scientists published their findings in the journal Proceedings of the Royal Society B. After cell death, enzymes start to break down the bonds between the nucleotides which form DNA. Micro-organisms speed up the decay and in the long run, reactions with water are thought to be most responsible for bond degradation. In theory, since DNA is buried in bone samples, which are found in the ground, there should be a set rate of degradation. It’s been difficult to determine this rate, as it’s rare to find large sets of DNA-containing fossils to make comparisons. Environmental factors such as temperature, the degree of microbial attack and oxygenation alter the speed of decay. Palaeogeneticists led by Morten Allentoft at the University of Copenhagen and Michael Bunce at Murdoch University in Perth, Australia, examined 158 DNA containing leg bones belonging to three species of moa, an extinct species of giant birds, The bones were between 600 and 8,000 years old, had been recovered from three sites within 5 km of each other and were in nearly identical preservation conditions. The specimens’ ages and degrees of DNA degradation were compared and the researchers calculated that DNA has a half-life of 521 years. At an ideal preservation temperature of −5 ºC, every bond in DNA would be destroyed after 6.8 million years. DNA would cease to be readable after 1.5 million years. 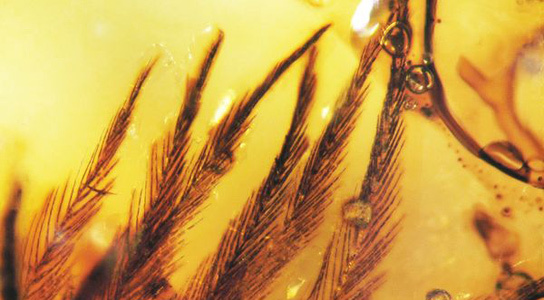 This confirms that DNA from dinosaurs and ancient insects trapped in amber isn’t viable for cloning purposes. The researchers found that age differences only accounted for 38.6% of the variation in DNA degradation between the moa-bone samples, which means that there are other contributing factors. 1 Comment on "Researchers Calculate That DNA Has a 521 Year Half-Life"
Hurrah! 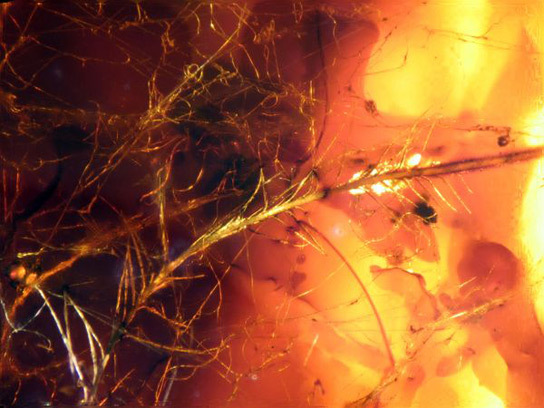 Jurassic Park Experiment with 25 million year old DNA of Dinosaurs trapped in amber, though may be preserved well will be of no use for cloning since 6.8 million years is enough to dissolve bonds of ACTG. 521 year half life is poor indeed. It doesn`t matter. We can make another film Jurassic Park X to satisfy our wishes. We have to stop with cloning Dolly , Calf , etc upto Man if permitted. Or we can try only extinct animals of the present era. Thak You.